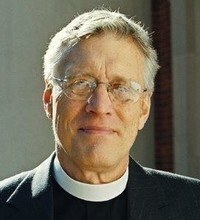 Michael L. Lindvall was installed as the thirteenth pastor of The Brick Presbyterian Church in the City of New York in the fall of 2002. A graduate of the University of Wisconsin-Oshkosh and Princeton Theological Seminary (’74), he has previously served as pastor to congregations in Ann Arbor, Michigan and Northport, New York. He is also a writer whose essays, book reviews, sermons, fiction, and theological work appear in a variety of church-related and secular periodicals and collections. “Seminary and theological learning is not just something you graduate from; it is something you graduate into. When I graduated Princeton Theological Seminary, I matriculated into a community of alums and a lifetime of theological learning that continues today, undergirded by the school I love."